Pomersbach, the 23-year-old, was just starting to seal his place in the Western Australian team. New Zealand toured Australia for the 3-match ODI series part of the Chappell-Hadlee Trophy in 2007 December after the one-off T20I. The visiting team didn’t have a great start to the short tour as they lost to the Cricket Australia Chairman’s XI in the practice match in Perth. Luke Pomersbach’s 65-ball 88 and David Hussey’s 53-ball 73 took them to 285 before they were bowled out in 47 overs. New Zealanders finished with 278/9 in 50 overs despite a fighting 119 from skipper Brendon McCullum. 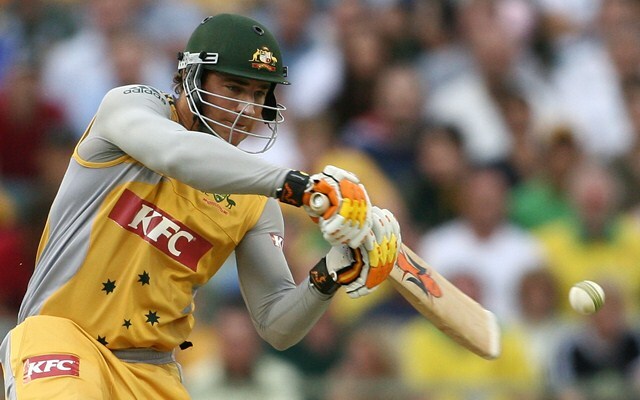 On 11th December, Australia and New Zealand were set to face off in the one-off T20I at the WACA Stadium in Perth. The Aussies, led by Michael Clarke, had six specialist batsmen including wicketkeeper Adam Gilchrist in their 12-man squad out of which three were possible debutants. However, Brad Hodge was declared unfit in the last moments before the toss having injured his back. This left the hosts with only five batsmen and the Australians were going to be forced to play an extra bowler in form of Stuart Clark. This left team management to find a replacement for Hodge as early as possible. Having noticed Pomersbach’s recent performances and availability, he was summoned to join the team. Where did Luke Pomersbach come from? Pomersbach, the 23-year-old, was just starting to seal his place in the Western Australian team. He made a good start to the season scoring 395 runs at an average of 98.75 in Pura Cup (Sheffield Shield) in five innings with two centuries and a fifty including a best of 176. However, he and Shaun Marsh were suspended from playing for a couple of matches for the state team. The duo consumed alcohol against the team policy and against the advice of team management. Pomersbach was suspended for a month until 14th December but can play for the Second XI in meantime. The left-handed batsman decided to become a spectator for the Perth T20I and turned up with his girlfriend. Meanwhile, Pomersbach got a call from his friend for reporting to the dressing room which he thought was a joke. The friend then responded, “No mate get yourself to the rooms as quick as you can” leaving Pomersbach to rush, who probably forgot to lock his car as well. As Australia elected to bat first on winning the toss, Luke Pomersbach had to make his International debut by borrowing kit from others. His brother Gavin tried to rush to the ground with the kit as early as possible. Adam Voges, A Noffke and Shaun Tait were also making their respective T20I debuts in the same game. Pomersbach walked to bat at No.6 with Brad Hodge’s nickname ‘Dodge’ written on his back after Australia firmly placed at 151/4 in 16.4 overs. He struck a six on the 3rd ball he faced and a four on the 5th delivery. He made a 7-ball 15 in his only International appearance in Australian colours before holing out in the final over. Andrew Symonds’ unbeaten 46-ball 85 was the driving force in Australia’s total of 186/6 in 20 overs. The Aussie pacers were too hard on the Kiwis who were bowled out for 132 in 18.3 overs. Jacob Oram’s unbeaten 31-ball 66 with five fours and six sixes accounted for half of the Blackcaps’ total.